Improve Your Oral Health with Dental Implants Today! When you lose a tooth, you will start to notice several areas of your oral health and quality of life decrease. Every tooth plays a vital role in your ability to chew and speak while also working together to maintain your dental health. To fill the empty space, you have many options available. You could choose a traditional option, like dentures, but they do not offer the same benefits as dental implants. They not only replace the missing tooth, but improve your quality of life and oral health as well. A missing tooth causes your underlying jawbone and supporting structures to begin to deteriorate. Over time, the lack of stimulation may cause your remaining adjacent teeth to shift toward the open space. If this occurs, it can cause your bite to become misaligned. Not to mention, it can often lead to overcrowding, making oral hygiene more difficult. This increases your risk for tooth decay and gum disease, while you may also lose additional teeth in the future due to the lack of support. Dental implants are the only form of prosthetic teeth that can potentially prevent these complications from occurring. With the titanium post surgically placed into the jawbone, it remains stimulated to help preserve your bone density. This will protect the supporting structures, allowing your remaining natural teeth to stay firmly in place. When even one tooth is lost, you may have difficulty chewing your favorite foods. As a result, you may have certain limitations in your diet because certain foods, like meat, are just too hard to eat. Over time, this can lead to nutritional deficiencies, which will negatively impact your overall health. When compared to other forms of prosthetic teeth, dental implants closely function like those that are natural because both the root and crown of the tooth are replaced. This provides a secure foundation to allow you to eat your favorite foods without slipping or irritation. In fact, when compared to traditional dentures, dental implants have an increased biting force of over 70%. An empty space in your smile can cause you to feel insecure about your appearance. You may hide your teeth while avoiding certain situations due to low self-esteem. By filling the gap with a dental implant, you gain a natural-looking solution to enhance your confidence. You can smile brightly and speak clearly without any concern. If you are living with untreated tooth loss, it is time to call your dentist to see if you are a candidate for dental implants. With the right treatment plan, you will improve your quality of life and your oral health. 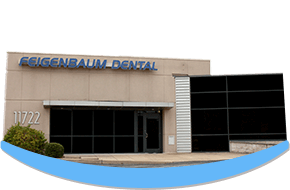 Feigenbaum Dental is committed to creating beautiful smiles using a gentle touch. Our team of highly trained dentists use cutting-edge technology to deliver superior results. In addition to routine dental cleanings, you will enjoy a wide range of dental services, including dental implants. If you have any questions about your tooth replacement options, please contact our office today to schedule a consultation.